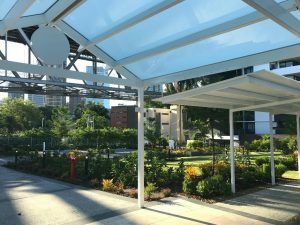 As part of Fraser Property Group’s refurbishment of Brisbane’s iconic Yungaba House, Hutchinson Builders commissioned Steel Post & Rail Pty Ltd for the unique covered walkway arbour and gable roof portico structures. 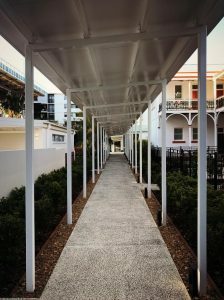 These structures were designed, manufactured and installed by SP&R using our proven hot dip galvanised steel system, and finished in the classic powder coated Satin White. 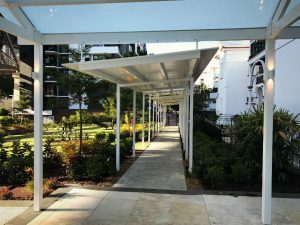 They feature floating drop-down connections between Portico and Arbor, and the set-downs in roof line to complement the fall of ground level while maintaining a horizontal roof line in each section. 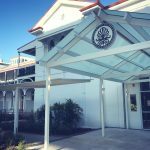 The painted CFC roofing panels and are practical in their hard-wearing and insulating properties. 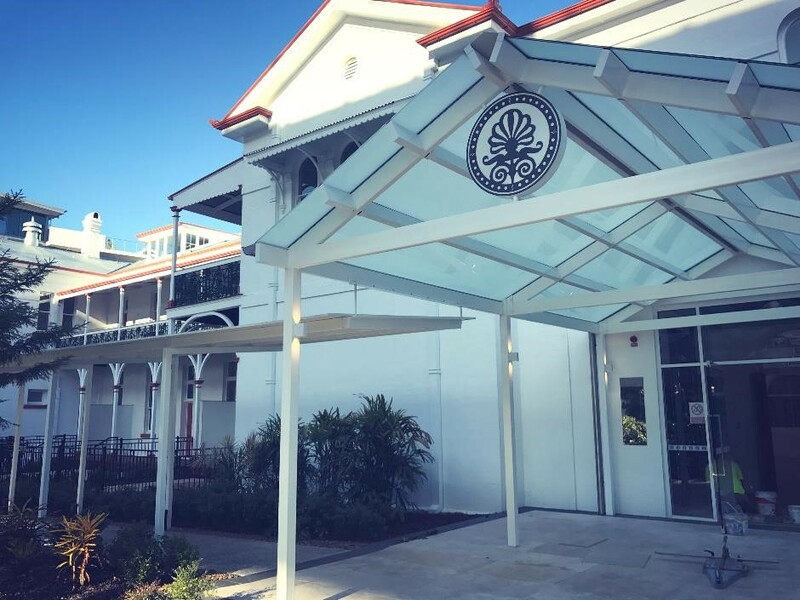 Known as ‘Brisbane’s front door’, Yungaba House was the first port of call for migrants to Brisbane in the 1800’s and has since found new life as luxury apartments. Recognising the heritage and significance of the building, SP&R aimed to maintain the visual aesthetic through a seamless integration of the roof line to the building façade. 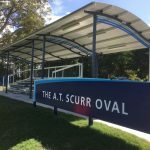 We specialise in the provision of unique, custom made products to suit any site and any customer requirements for look and function. 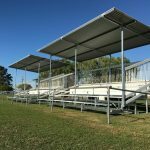 These structures are well designed and installed in a proper manner in which the galvanized steel used for the manufacturing of its structures. The sight of structures is looking very attractive. Thanks for sharing this attractive structures post. 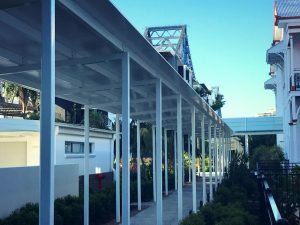 Exactly, it is one of a kind steel walkways structures. It’s good that I found this great article. Looking forward for more valuable post.